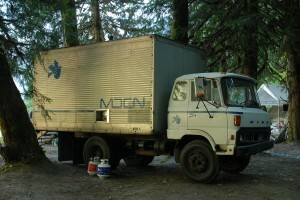 We completed the first sauna truck in time for our first sauna party at Intention, January 1 2001. We've been running weekly saunasessions pretty much every Sunday since, and sometimes on days between. We've had some legendary sauna residencies, at 815 E Georgia house (the original sauna house in Strathcona), the Pandora house (AKA Luke's house), the Georgia St house, 121 Studios, Hammock Residency, Gropp's, Redgate. We've been to some epic parties and festivals including Funkoree, Shambhala, Soundwave, BitF, the Dollhouse, Nexus and Basscoast. We've hit a lot of house parties. 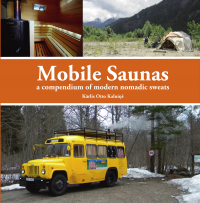 We've built more mobile saunas, and we've sweat up a lot of people. We've got amazing music. Our resident DJ-in-chief Woodhead has been recording mixes and for years, live from sauna parties and from other events, including Woodhead's Lotus residency. They get posted on this site so you can get stoked on the music like we are. We roll with some of Vancouver's best DJs and we've sweat up the rest. Do you want to know more about our saunas or the music?